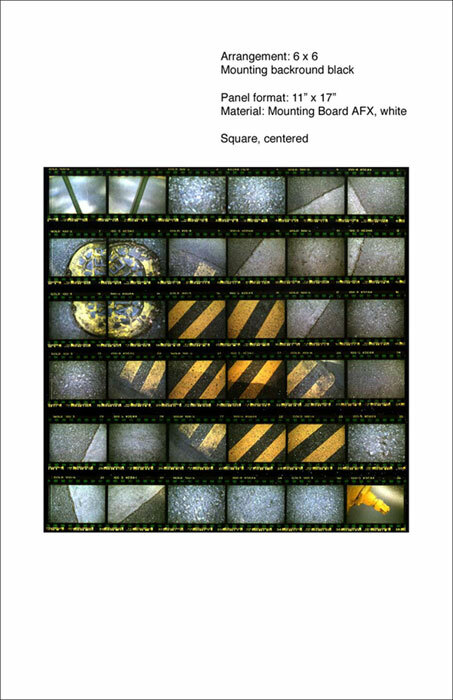 - Wall: Contact sheet "square"
2. Within a web site with 3 page types organized as photo gallery with a good navigation. 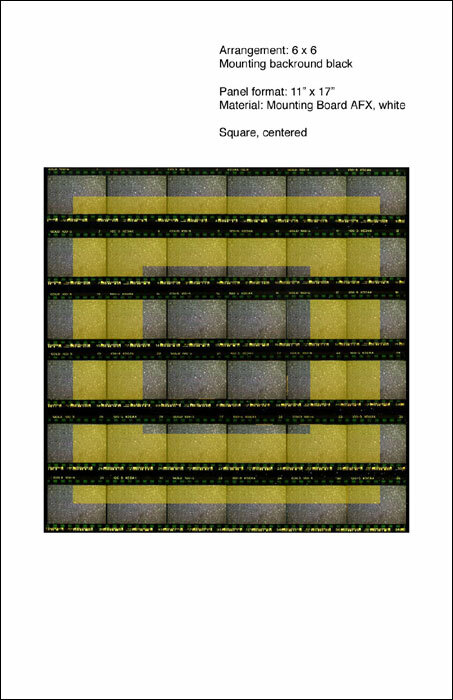 Text: project title, image titles, short descriptions, long descriptions (explaining it to a "blind person").